Belize offers stunning beaches, amazing weather, a low cost of living and great accommodations like the Exotic Caye Beach Resort, but no vacation would be complete without gaining some insight into the history and heritage of the nation. Thousands of years ago, the Mayan civilization called Belize home, and they left several artifacts showcasing their culture. Although a self-guided tour can be a unique way to see Belize, guests staying at the Exotic Caye Beach Resort can easily and conveniently join a guided tour that includes a river safari and a chance to see the Lamanai temple up close. 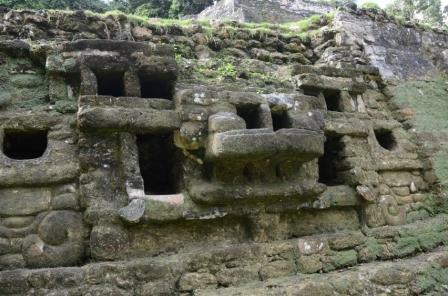 Lamanai, a name that means submerged crocodile, is an archeological site that is found in the Orange Walk District of Belize. First occupied more than 3,000 years ago, Lamanai served as a city for the Mayan civilization. The settlement was made up of significant religious landmarks like the Mask Temple, the Jaguar Temple and the High Temple. It is important not just because it can help link visitors to Belize's past but because it show proof of trade more than 3,000 years ago. In addition, copper found in the ruins is significant for many researchers interested in the history of the Yucatan Peninsula. The epic guided tour will start by traveling up the Northern Highway until reaching the New River. There, the entire group will board a riverboat designed specifically for the waterways in Northern Belize. Along the way, your local expert can point out the incredible wildlife and plants that make the river their home. Keep your eyes peeled so that you can spot crocodiles, hawks and falcons as well as bright greenery and towering trees on the banks. This is the chance to bask in the sun and revel in the beauty of Belize that is still so pristine and untouched by development. As your riverboat approaches the New River Lagoon, the tops of the Lamanai structures will start to appear on the horizon. In between the huge Ceiba and Ramon trees, you'll see carved animal masks that were of religious significant thousands of years ago. Steps carved out of stone lead the way to the top of the pyramid temples, which you can still climb to this day. This is the perfect place to take photos and imagine what life was like for this incredible civilization so long ago. Visitors will appreciate that the mainland tour departs from San Pedro on Ambergris Caye, just next door to the Exotic Caye Beach Resort. The early start of 6:30 AM ensures you have a full day of adventure, and the return time of 5:00 PM guarantees you're back for a well-deserved dinner overlooking the water. The total cost per person of this amazing tour is $135, and it includes all your transportation for the day. For a day in Belize you'll never forget, join a guided tour on a riverboat ride along the New River as well as the chance to explore the Lamanai ruins. Find out more about all the wonderful things Belize has to offer for vacationers and residents.